The observed color of a compound from the color of absorbed light can be determined by using the Artist's color wheel diagram. Here complementary colors are shown on opposite sides of the color wheel. If a compound absorbs light of one color(say orange), then it reflects(transmit) light of blue color. The transmitted or reflected light of blue color attacks on the retina of our eyes and the compound is seen to be blue colored. The color of the transmitted light is called the complementary color of absorbed light. 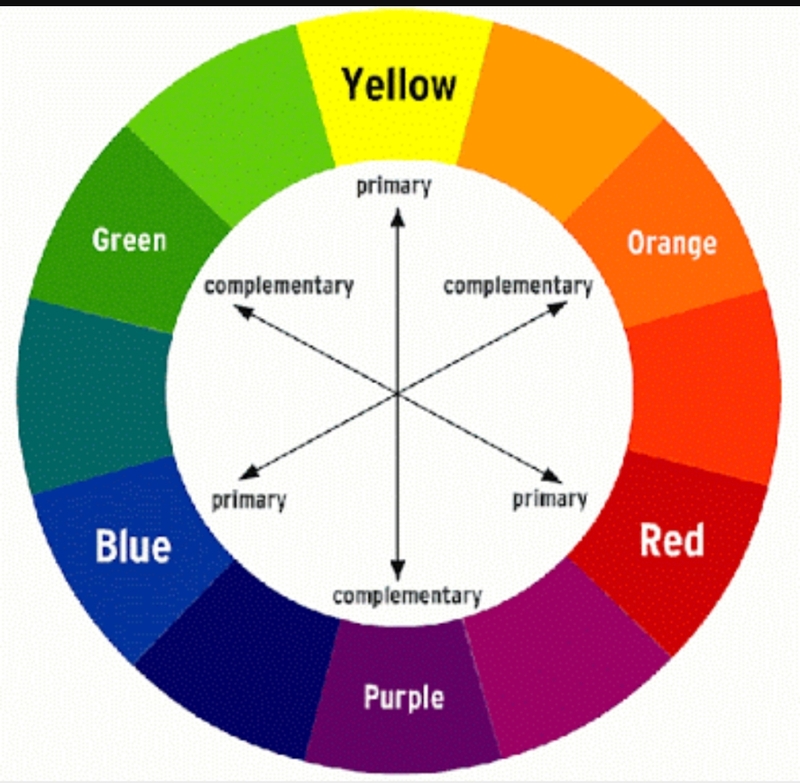 At the heart of color theory, complementary color are the opposite hues on the color wheel. In their most basic form, they are one primary color and that is created by mixing the other two primary color. For example, the complementary color of yellow is purple which is a mix of blue and red. With that knowledge, it is rather easy to remember the first set of complementary color i.e. 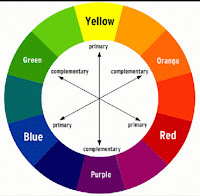 yellow and purple, blue and orange, red and green as shown in the above diagram.